Built of high quality steel Tubing (ERW) reinforcement for screw CO2 Welded (Enamel or Cp.). Built of high quality steel Tubing (ERW), CO2 Welded (CP). Pull the quick release and release /adjust the footrest. 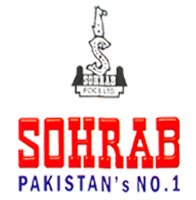 Built of high quality steel Tubing (ERW), (CP). Pull the quick release clip and release /adjust it. 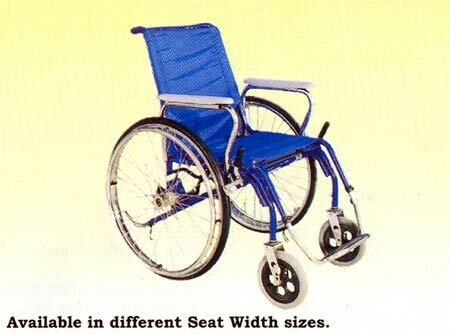 Built of high quality steel Tubing (ERW), (CP) detachable, CO2 Welded with upholstery cushion. Plastic Moulded. 8� dia with solid tire foam tire with bearings. 36 Holes CP. Hub with quick release Axle and bearing 36 Holes CP. Push the pin with thump and release the whole wheel. Nylon tire and rubber tubes 24*1-3/8� CP. Driving Ring CP. Canvas Cloth with Nylon reinforcement. Built of high quality steel Sheet (CR-2) (CP), very easy to assemble and more effective. Phosphating coat for rust protection. Electrostatic Enameling. Color as desired.